One important task of the College of Forestry’s Office of International Programs is connecting Oregon State students with hands-on learning experiences abroad. This includes internships that provide educational opportunities and practical experience for students. Shelby Knight, a natural resources student at Oregon State University-Cascades in Bend, gained all of this and more during an internship experience in Chile. Growing up in Central Oregon, Knight fell in love with natural resources, but was never sure exactly what she wanted to pursue as a field of study or career. Through her involvement in the Natural Sciences Club at OSU Cascades, Knight met other students who participated in study abroad opportunities. “I had no idea that this was even a possibility for me as a Cascades student, and I began to look for opportunities to go abroad through OSU,” Knight says. She found and applied for a short term, faculty-led study abroad opportunity in Chile. During the application process, she learned about the option to stay behind after the experience to complete an internship. Knight worked in the excursions department of the biological reserve where she helped deliver environmental, cultural and outdoor education to guests. She also tracked and mapped ‘illegal’ trails within the reserve, assisting Huilo Huilo with their trail interpretation plan, which will help the organization develop replanting and recovery strategies for illegal trails. Knight also helped develop a nature-driven children’s program for the Reserve’s called Los Pequeños Exploradores or The Tiny Explorers. This experience inspired Knight to pursue research abroad after graduation. Savannah Stanton is just a junior, but she already has plans to graduate from Oregon State debt free and work to change the world. Stanton believes an interdisciplinary course of study will be the key to her future success. He focus within renewable materials is science and engineering. She’s taken business classes, math classes and she will also earn a minor in Spanish. But Stanton isn’t exactly sure what she wants to do yet. Instead, she’s excited about a world of possibilities at home in Oregon and around the world. During the summer of 2016, Stanton interned at a wood mill in Chile. Stanton says her entire experience in Chile was funded through scholarships from the College of Forestry. Back at home, Stanton is also involved in the student chapter of the Society of American Foresters at Oregon State. SAF is a professional organization dedicated to education and scientific pursuit in the field of natural resources. She says that as a new professional, she expects to depend on the timber industry for the renewable materials needed to produce wood products. Wood science graduate student Kendall Conroy is focused on sustainability. She says the issue has been a hot topic in the Pacific Northwest her whole life. Conroy grew up in Hillsboro in a family of Oregon State graduates. Attending Oregon State as an undergraduate was an easy decision, she says. Picking a specific area of focus, however, was a bit more difficult. Conroy was awarded a scholarship from the Dean’s Fund for Excellence and Innovation and chose to major in renewable materials and later added a second major in sustainability to further explore her life-long interest in sustainability. She participated in the SEEDS (Strengthening Education and Employment for Diverse Students) program, which matches students with a mentor and gives them opportunities to participate in hands-on research as an undergraduate. Conroy was matched with Professor Eric Hansen and worked on a project researching gender diversity within the forestry industry. During her undergraduate experience, Conroy participated in a short-term, faculty-lead study abroad experience in central Europe. 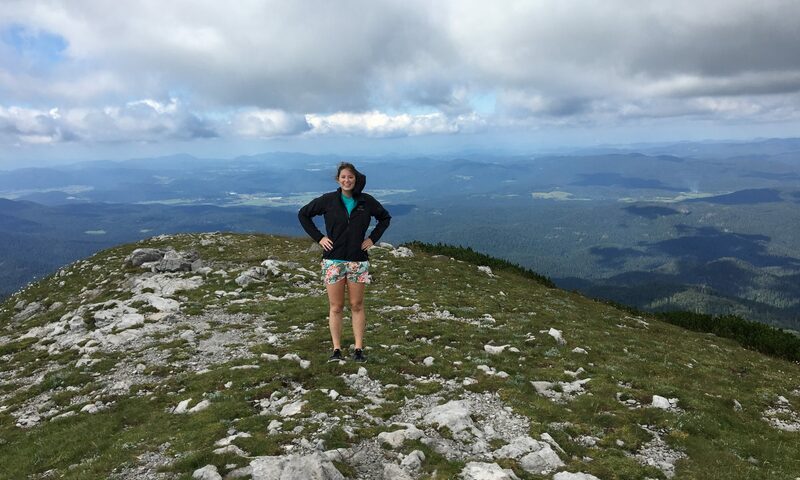 During her time in Slovenia, Conroy connected with a researcher there, and returned the summer after graduating to complete a research-focused internship. “I got to help out with a literature review for them and a few other ongoing projects,” Conroy said. Conroy enjoyed Slovene culture, learning a bit of the difficult language and enjoy a different culture in an international environment. Encouraged by her professors, Conroy returned to Oregon State in the fall to begin working toward her master’s degree. Her research will determine architects’ perception of wood products in terms of general knowledge and sustainability. “From this we will be able to better understand material choice and potentially how we can get more information to the people making choices about implementing wood as a building material,” Conroy says. Conroy says that after completing her graduate degree, she would like to work with architects and designers as a consultant on sustainability and material choice. Growing up in Dallas, Texas didn’t afford senior natural resources student Blair Ruffing many opportunities to get outside. In high school, her mother took her on trips to the Mountain west of the U.S. and Canada, and while visiting snow-capped mountains and crystal clear streams, the potential to live, play and work outside became real to her. Ruffing was drawn to natural resources and developed her own individualized specialty which she named soil resource economics. “I got excited about soils while taking the required natural resources major’s introduction to the subject,” Ruffing says. Because of her passion for soils and natural resources, Ruffing has become involved in student life at Oregon State. She works two jobs: one as a high ropes course technician at the Adventure Leadership Institute’s challenge course and another as a communications student worker at the OSU College of Forestry Research Forests. She participated in the women’s varsity rowing team during her first year at Oregon State and is the president of the Natural Resources Club. Ruffing also completed an internship abroad, in Ireland in 2016. Ruffing says working on the organic farm helped her think about the way she can apply the principles she’s learned in the classroom so far. “I want to use my soil science background and my experiences working in organic farming and combine them in a way to help with the food culture in our world,” Ruffing says. After she graduates from Oregon State, Ruffing hopes to pursue graduate school in Ireland and serve in the Peace Corps. Zachary Leslie spent his 2017 fall term in Chile working with terrestrial LIDAR. It’s something he never imagined when he came to Oregon State to study engineering. Leslie’s friend changed majors shortly after making the deal, but for him, it stuck. As a junior, Leslie visited the College of Forestry’s international programs office to find out where he could travel and participate in an international internship in order to fulfil the required six-months of work experience for his degree. Director of International Programs Michele Justice pointed him toward New Zealand. There, he spent three months working for a research institute in his 2017 summer term. “Another student and I measured Douglas-fir progeny trials through a variety of characteristics. The seeds came from Washington, Oregon, and California, so it was pretty neat to my state tree being used 6000 miles away,” Leslie says. 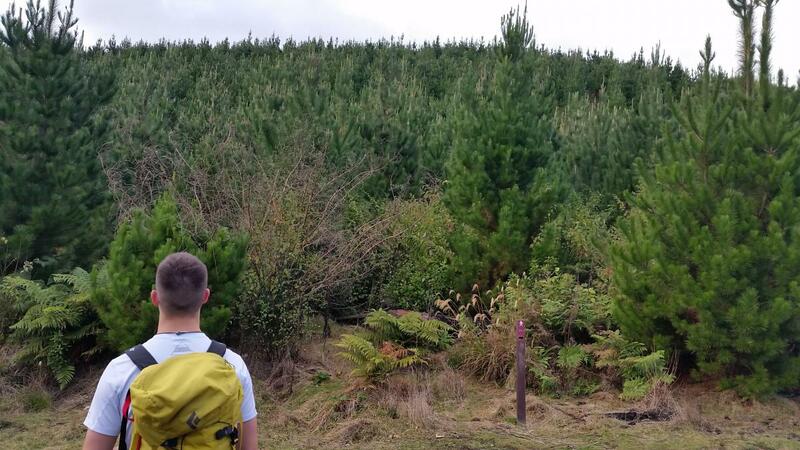 In New Zealand, he saw first-hand how different ecosystems impact growth rates of trees. “New Zealand has a similar moisture content as the Northwest. However, they have moisture is spread throughout the year so the summers are not as harsh. Therefore, plants have availability year round which results in faster growing rates and a shorter rotation,” Leslie explains. His first international experience made Leslie hungry for more, and because of the connections Oregon State has with Chile through the College of Forestry’s Chile Initiative, Leslie had the opportunity to take part in research and gain more work experience at the Universidad Austral de Chile. During this trip, Leslie experienced a bit more culture shock due to the language barriers, but working with exciting technology in his chosen field lessened the frustration. LIDAR stands for light detection and ranging and is a remote sensing method that uses light in the form of a pulsed laser to measure ranges to the Earth. Leslie used terrestrial LIDAR to understand the volume of trees in Chilean forests. Leslie isn’t sure what his future holds, but he’s interested in attending graduate school so he can delve into the uses of LIDAR and unmanned aircraft. Students studying renewable materials at Oregon State traveled with students and faculty from European universities to visit industry spots, labs and other locations on a one-in-a-lifetime study abroad experience.